AVAILABLE NOW: Ragamuffin Blu-Ray and DVD Combo Pack - NEW! 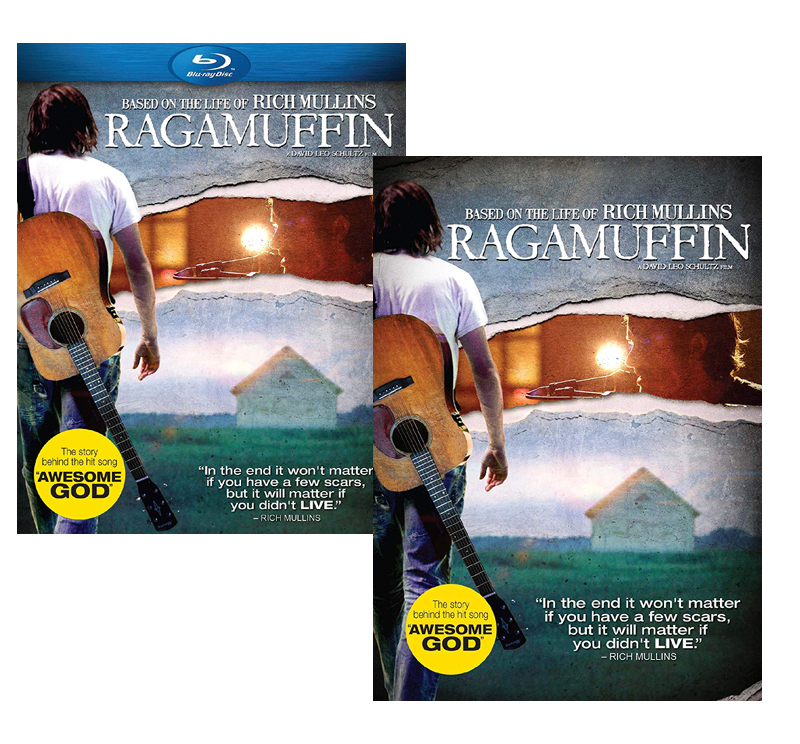 Ragamuffin is based on the life of Rich Mullins, a musical prodigy who rose to Christian music fame and fortune only to walk away and live on a Navajo reservation. An artistic genius, raised on a tree farm in Indiana by a callous father, Rich wrestled all of his life with the brokenness and crippling insecurity born of his childhood. A lover of Jesus and a rebel in the church, Rich refused to let his struggles with his own darkness tear him away from a God he was determined to love. As he struggled with success in Nashville and depression in Wichita, Rich desired most of all to live a life of honest and reckless faith amidst a culture of religion and conformity.